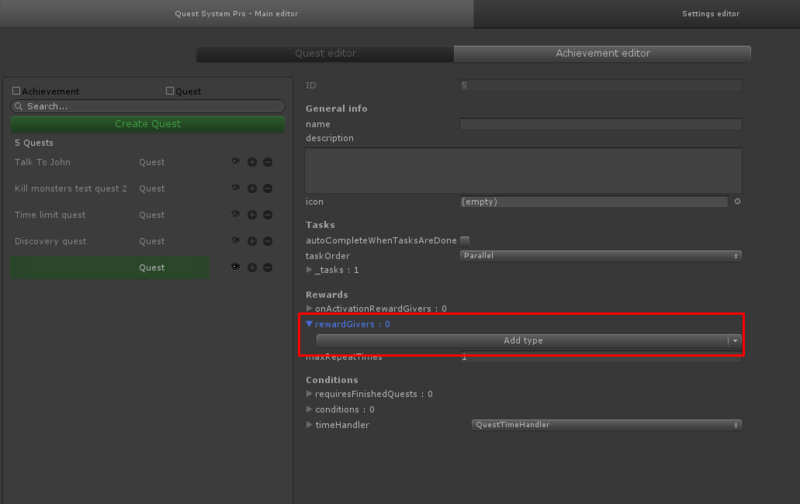 Any class that implements the IRewardGiver interface can be selected inside the quest editor and is automatically serialized. // Fields added here are serialized and can be assigned in the quest editor. // Give the player his/her reward. Save the script outside of the QuestSystemPro folder to avoid loss of files with updates. Once you've saved the file, head back to the quest editor and add it to your reward givers.